The crowds here just waiting on you PCH to just come on down here to this small town of Halfway to award the the Win it all to us. I know I’m the one putting my name here but we’re all sharing it, so we’re her just a waiting on you, while your a coming bring with you the prize #’s4950,#4749,#5035, the crowds here see you PCH. Hey Pch teams I Ee Lee here would loves to enter search win $2 Million on June 30 gwy No.4900. And plus also helps me to enter win $10,000,000.00 games prize gwy No.4900. And also with File will be closed, No Exceptions Messages to me that this is the Final Chance with the search win it all $2 Million plus $10,000 a Month for life and a brand new car on June 30 gwy No.4900….. Oh and also I want to win the $1,000.00 prize Milwaukee Tv Area too. At the end, thanks a lot very much for your loves and helps.so that, I can supported my son and my family but especially my mom and plus some other family’s too….. Lovely peoples. I want to Win it All on June 30th. Gwy#4900. I can only hope that it is meant for me. Thanks again. I know we aew coming to the final days of winning this contest but, I JUST WANT TO SAY….THAT I WANT TO WIN IT ALL JUNE 30TH. I WANT THE 2 MIILION UP FRONT PLUS THE 10 THOUSAND A MONTH FOR LIFE AND THAT NICE LINCOLN. I AM IN IT TO WIN IT ALL…AND IT WOULD BE MY HONOR TO DO SO!!!! GWY# 4900. DANIELLE LAM, DAVE SAYER, AND TODD SLOANE….PLEASE HEAR MY PRAYER…I WANT TO WIN SOOOOOOOO BAD!!!!!! QUIERO GANARLO TODO,PARA PODER HACER UNA CLÍNICA Y PODER AYUDAR A TODAS LAS PERSONAS QUE NO TIENEN SEGURO MEDICO Y NECESITAN DE ATENCIÓN MEDICA,COSA QUE ES MUY DIFÍCIL EN ESTOS TIEMPOS QUE ESTAMOS VIVIENDO,DIOS SABE QUE ES POR UNA BUENA RAZÓN, AYUDAR AL PRÓJIMO. Yes, I WANT US TO WIN… If I WIN EVERYONE WINS. 2 MILLION CAN HELP OUT ALOT OF PEOPLE IN MY COMMUNITY. SO PLEASE HELP US WIN LORD… THANK-YOU.. Yes PCH, and thank you, for giving me this opportunity to join the many other winners that won giveaways before this. GOD Willing, that, I’d be granted this bountiful Blessing. I’ve never won from pch before and am looking forward to your visiting my home on June 30, 2015, with THE “WIN IT ALL” SuperPrize gwy #4900. This would be the win all Blessing of Blessings. I thank you, my family thanks you, and may the Good Lord Bless you. Please let me win it all on June 30th. IF I WAS TO WIN IT ALL,THAT WOULD CHANGE MY LONELY LIFE FOR EVER. THE WOMAN I LOVE I WOULD HAVE THE MONEY TO GO TO HER COUNTRY TO BRING HER TO AMERICA. THIS WOULD MAKE ME THE HAPPIEST MAN ALIVE. I WOULD BE ABLE TO DO ALL THE THINGS THAT ARE ONLY IN MY DREAMS. MY BEAUTIFUL VIETNAMESE FUTURE WIFE WILL BE MINE AT LAST! THE WORLD WILL BE OURS AND LONELYNESS A THING OF THE PASS. I HAVE A DAUGHTER LIVING IN JAPAN SHE IS TEN YEARS OLD,I WOULD HAVE THE MONEY TO BRING HER HOME. AND HAVE THE FAMILY OFF MY DREAMS. MY WIFE TO BE WANTS ME AND MY CHILD TO BE A PART OF HER LIFE,AND THAT MAKES ME SO HAPPY. IF DREAMS COME TRUE THEN THIS IS MY DREAM. pchi want to win it all. Yes !!! I would love to Win it all on June 30 ! I would give back to my church and help St Jude’s Children’s Hospital out and I would even help out a Friend out and then I would go to Florida for a long Vacation and maybe even fit a nice cruse in . but before I do anything I have to WIN IT ALL On June 30 and then I could do all of that and then some. Yes I want to win it all June 30th PCH GWY. No 4900 2,000,000.00 at once, 10,000.00 a month for life and a Lincoln MKZ valued at 37,000. Yes, I want to win it all, it would be great I would not have to attempt to get help just to be told I do not qualify, Being totally disable this would be a dream come true and a blessing at the same time. I would be able to survive each month without wondering how I am going to do it. I would be able to buy my medications and take it as directed instead of trying to make it last a long as possible, pay of my bills, pay off my son student loans, help other family members and do much need repairs to my home. These are just a few of the many things winning this sweepstake would do for me. It would also allow me to donate more to the cancer foundations, St. Jude and others. Yes I want to win it all plus 1,000.00 for a local Washington area prize. Thank you. PCH. I have a depressed 24year old son who has attempted suicide four times since January of 2014. He has been diagnosed as bipolar and his medication costs me over $250.00 every month. I am a handicapped person and live on Social Security Income. The money I earn through Social Security and the money I earn cleaning houses is not enough to pay for my son, Schaefer’s meds, our apartment rent, electricity and AT&T to have cell phones. Winning the PCH $2 Million dollars will help pay off Schaefer’s previous hospital bills and pay to get him the psychiatric care he needs so he can get well. I don’t understand why I need to search to win, I have bought so much from you and that’s all I do but when I search how could that help ? Please God help me to win the money & I will make u proud by helping my brothers & sisters who need someone to help them. We are all winners when we believe and have faith in our Lord Jesus Christ! Hello to all my new friend on PCH, I wish every one good luck including my self, in this fun project that we all gone thru and sweet over it. I hope every body wish me the same luck #4900 is a lucky number don’t forget that. We’re all here for the same thing, lets all join hands and raise the winner hand and wish him or her the best. This will bring me a better life. thanks everybody. I would try to put everything in order to make sure I do not leave anything out that I should handle. At my age it doesn’t matter, but there are some little kids that could use some help. In fact a lot! Final,Final,Final! Today is the very last day,i said so many many times before about this PCH Event which is incredible,helping many lives , giving dreams and happiness. I honestly want to win and share as much as i can with good people. My dream is Winning and Sharing! I’ve enjoyed playing your game and I have purchasedsome items from PCH. I have Two Grandkids that could use money for College. I would love to win! Debt free and without mokey worries!! Hello PCH our family would love to win it all gwy no 4900. This would be a life change for us plzz. Thank you PCH!! I want to win it all for my family… Come over to my house PCH. Thank you! Getting close to retirement wondering how I will make it. Perfect timing – husband lost job, I lost job, grandbaby on the way. Will my roof hold out another year? Do I see a new home in my future, big enough for my entire family? I think I do! Don’t forget my address. I would love to “Win It ALL” on June 30th because I was in a car accident in 1998 and messed up my back and right hip. it took 10 years to get the little I have on disability but I have been trying to find a way to work my self off it since. but don’t have any extra to do it. I am a single mother, animals lover. and I believe all children are Gods children and we all should take care of them. If I was to win I would start up Fantasy River Ranch and reapply to adopt from foster care. Set up FRR Helping Haven – where we help aged out foster care young adult make sure they have a roof over there heads , know how to cook and everything they need to know and finish there schooling find them a job and show how to pay bills find them there own house. Set up FRR helping Hands – where we help people who have animals and are having a rough time bring them feed, take the animals to the vet. Thank you for giving me a chance that I may be able to make all this come true not only for myself but for all those I am trying to help. thank you for the opportunity to enter but as the old saying goes. even if I walked thru a pasture of cow poo or a bird poo on me I still would have no luck to win anything. thank for the chance anyway. I would like to be one of the winners but with my luck the only thing I will won is honorable mention because as the old saying go. I could walk throught a pasture of cow poo or a bird could poo on me and it still would not help my luck. thanks for the opportunity to enter. WIN IT ALL 2 MILLION & 10,000.00 A MONTH & CAR PCH GWY#4900 JUNE 30 PLUS ALL OTHER ENTRIES AND BONUSES THAT APPLIES. WIN IT ALL 2,000,000.00 & 10,000.00 a MONTH FOR LIFE & A CAR LINCOLIN MKZ PCH GWY#4900 ON JUNE 30 PLUS ALL ENTRIES AND BONUSES THAT APPLIES. GOOD MORNING PCH I AM CALIMING MY WIN IT ALL 2 MILLION & 10,000.00 FOE LIFE &NEW CAR LINCOLIN MKZ PCH GWY#4900 ON JUNE 30,PLUS ALL OTHER ENTRIES THAT APPLIES AND BONUSES ON JUNE 30. Part #2 of ‘”TIME RUNNING OUT”‘ for #4900 win it all plus more June 30th, I did part #1 (yesterday), now I’m on the part #2 for today. I wanna a win it all. Be seeing you soon if sooner. I have been playing these games for over 2 months now and the section where you say Search, it does not explain what to do or even how, I am really desperate to win because I’m 76 yrs old. Have had a rough life but always put my faith in Gods Hands and pray for something like this to come my way. If I win this big amount, I most likely with donate a great portion of this because at my age, I’ll never spend this kind of money. It has been very enjoyable for me to play your games but when it came to Search. It left me blank as to how and what to do. I’m really praying hard for this to happen to me. Thank You Very Much. MR. Greg White Sr. There is so many people out there that has so many problems. Health wise and other. I don’t know if I’m worthy! Ready to win it all! I hope I win the sweepstakes. I would put up a college fund for my son. I been praying every day for me to win it all. I also want to give my parents a dream house or car. They deserve it and I would like to give back to the community to help people. Goodmorning, I’m still hoping to win this amazing Millionaire status, Pch, at once. #4900 Please make me over on June 30th plus more. I want so much to win it all (L.J.). It would be great to win it all and pay my debts off! 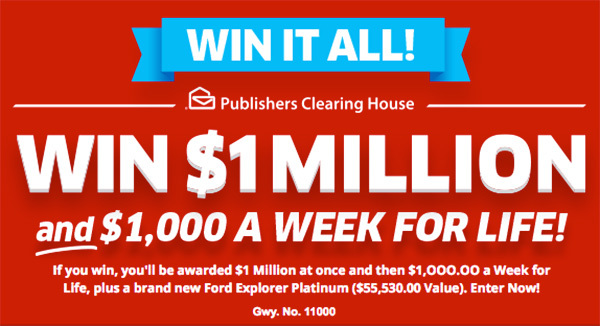 Yes, I would like to win it all PCH GWY. No.4900 2,000,000.00 at once, 10,000.00 a month for life and a Lincoln MKZ valued at 37,000. I would like to win this sweepstake it would be the answer to my dream and a blessing at the same time. Winning would mean a great deal to me, I would not have to worry about how I am going to survive each and every month for fearing I make not have enough money to pay for medications. It would allow me to pay off my bills, pay off my son student loans, help other family members and allow me to do much needed repairs to the walls in my home. Being totally disable it would allow me to live without been told I do not qualify for help. This would also allow me to donate more to the cancer foundations, St. Jude and others. Yes, I would like to win it all. Thank you PCH. Hi Hey Pch Staff I Ee Lee here a little late cause my internet was too slow and plus something its wrong with my phone today. So, then I Ms. Ee Lee also here because I would loves to win it all $2 Million superprize golden ticket on June 30 gwy No.4900 golden opportunity to win golden ticket please and I hope you Pch teams won’t forget me….. But then, thanks a lot very much for everything today now and plus until then… Love you all. TO WIN A GUARANTEED $ 1 MILLION SUPERPRIZE ON JUNE 30TH, 2015 IN A SECOND CHANCE DRAWING. I am looking forward to winning so I can start a business..Thank you!! I would love to win all of the prizes for June the 30th and please accept all my entriesThank You PCH prize Patrol. Yes pch I want to win 2,000,000 plus more thx u staff!! YES PCH I SHEILA READY TO WIN WIN WIN !!!!!!!!!!!! !IT ALL PLUS MORE ON JUNE 30TH PLUS 1,000.00 CASH # 5035 # 4900 MAKE MY DREAM COME TRUE HOPING TO SEE YOU AT MY DOOR. YES I WANT TO WIN IT ALL FROM PCH GWY. NO. 4900. $2,000,000.00 AT ONCE PLUS $10,000.00 A M0NTH FOR LIFE AND A BRAND NEW LINCOLN MKZ VALUED AT $37,000.00. SO PLEASE ACTIVATE MY ENTRIES SO THAT I WILL BE IN THE RACE ON JUNE 30TH. I AM LOOKING, LISTENING AND HOPING I CAN’T THANK YOU ENOUGH FOR THIS OPPORTUNITY THAT I AM ABLE TO SEARCH TO WIN. YOU GUYS ARE ALWAYS MAKING IT POSSIBLE AND THERE ARE SO MANY WAYS TO WIN THANKS AGAIN GOD BLESS. Happy today received notification that I made it to the selective list for the GWY.4900 on 6/30/15. Thanks so much!!! God bless. I need to win so I can pay bills and get a home and a car. I see there are a ton of people to win so I may not. PCH I’M CLAIMING AND ENTERING TO “WIN IT ALL”! $2 MILLION + $10,000 A MONTH FOR LIFE + A BRAND NEW CAR ON JUNE 30TH! GWY NO.4900, THNX PAULINE. …. I would love to win the money on June 30. We could really use the money for I have colon cancer. Oh my yes this would be a dream come true if I win. My family and I would have no financial worries anymore and could pay off my home and my husband’s shop. It would be great, but even if I don’t win I would like to thank PCH for giving me a chance to win. Yes, I’m ready to win it all for my family. I’m entering for the PCH GWY#4900 on June 30th. Just hope I win it all. Thank PCH for this opportunity. Time is running so I want to claim my entry to win WIN IT ALL number 4900 and much more. I would like to be able to say that I was Millionaire. Final entry today tomorrow.I will pray hard tonight and tomorrow! Thank You!!! I want to Win it all. God bless us all….. Thanks. I’ll be once-in-a-lifetime dream if we Win . I take care of my family and travel the world with my husband and my two daughters put them through college and go through college myself and taking take care my brother and his wife and girls take me to care my dad . Yes I would like to win! It would make life a lot easier. I would like to say thank you for everything. I am very desperate to winning the Win It All! I have been trying for a long time. Please make it happen for me now. My family has so much debt to pay off. I would be so happy and thankful if I am fortunate to “Win it All”. I have done everything that PCH has asked me to do and hopeI am the lucky one. I would really appreciate being considered for the WIN IT ALL PRIZE . Yes, I am driven to win the ‘Ford Fusion’ as part of win it all plus more June 30th. Thanks for the email, and please count me in to win. I am entering too claim chances on “Win It All” $2,000.000.00 up front plus $10,000.00 a month for life plus a new Lincoln and much more I want to add my winning number to the winners selection list to make me eligible to win on June 30th! Thank You!! I just do not know what else to say or do I want to win please and thank you. I would like to win $2,000,000.00 + $10,000.00 a month for life + a brand new lincoln grey lincoln mks yes I would love to become a win it all. 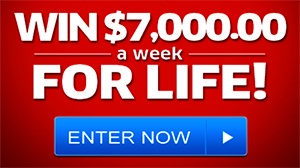 I want to win 2 million, plus ten thousand a month for life. I’m really ready to win it all. My family doesn’t know what I am doing. They thought I might be doing something that I shouldn’t be doing. Oh well, won’t they be in shock if I win something, so will I. Gwy.#4900 on June 30th. Thanks again. yes i can win on june 30th 2.000.000 pus 10,000.00 a month for life. i can help muy family and friends. ENTER! 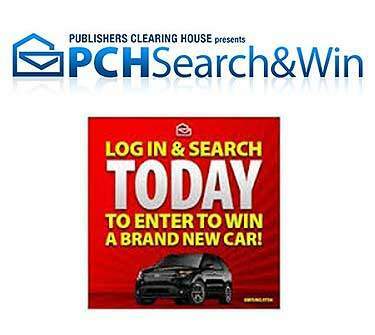 PUBLISHERS CLEARING HOUSE 2015 SWEEPSTAKES TICKET NO: LB382-PREV63015 JUNE 30TH SUPERPRIZE EVENT GIVEAWAY NO. 4900: WIN IT ALL SUPERPRIZE NUMBERS $2,000,000.00, NEW LINCOLN MKZ plus $10,000.00 A-MONTH-FOR-LIFE. (Success) Focusing on putting Positive energy and power ofmy mind I will Win I will Win I will Win…. Thanks to PCH for bringing finacial happiness to many families! Win It All, thanks you PCH. I’m in it to win it all pch $2,000,000.00 + more on June 30th. Yes I want to win it all PCH. Come make my dreams come true. I will turn 70 on the 27th of June. My life hasn’t been easy all these years, as many others, but I would love to have some relief for myself, my family and friends in need. This would be the most amazing day of my life to be the Win It All winner on the 30th of this June! Please, I pray with all my heart, come to my door! “SuperSearcher”, to have the chance of winning the “SuperPrize”; to continue the work I was sent to this earth to do helping others and end my hardships. Most of all having the opportunity to greet the PCH Prize Patrol Elites at my residence in the Atlanta Local TV area; and opportunity for of receiving the Gwy.no.5035, of $1000.00. “I affirm the divine law of love and justice is at work in my life now and forever more”. I want to win it all….Please assign Prize Numbers selected as the winning number in this special early look prize event from PCH Giveaway No. 49OO, Tashawna would love to win it all $2,OOO,OOO.OO all at once, $1O,OOO.OO A Month For Life and a Brand New Lincoln MKZ, worth over $37,OOO.OO…Plus, $1,OOO.OO in my area as part of PCH Gwy. No. 5O35. It would be a miracle for us. I’ve been sick for 5 yrs, & thr bills are piling up. I know there are many people in thr same situation. I pray God keeps me in your mind to receive these gifts a vacation would help us release some, God bless, Thank you. Winning At All prize will change my life. time is getting closer to a superprize winner. I want to be that winner of $2,000,000.00 + $10,000.00 a month for life + a brand new Lincoln mkz gwy. no. 4900 pch on june 30th.may my dreams come true thank you for the great opportunity to become a millionaire. Here i am back again to this page to make my comment, i really, really, really, truly want to win “WIN IT ALL!” prize, $2 Million at Once, Plus More, so i can start working on My Legacy Making Project very very soon! Thank you for this opportunity!! Travel, give to the AM Vets organization, support soup kitchens, help family, give to animal preserves and shelters, set up scholarships for city kids to go to better schools. go on mission trips to help less fornitate people, try to find out about geting water to people in hot areas of the world. I want to win it all plus more super prizes GWY NO 4900 on June 30, 2015. 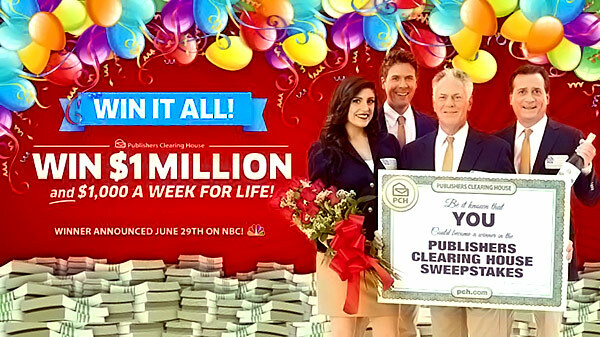 Hi there Pch Staff I Ee Lee searching today cause I would loves to win it all $2 Million prizes gwy No.4900 on June 30. But other than that thanks a lot very much for loving us. Hey so that we all can supported our life but I think especially me and you all should knowing me well by now. I would love to “Win it All”. Especially because I have been so sick. Thank God, I’m lucky to be alive. The past year has been hard on my family. I was in the hospital the whole month of July last year because it was because I had 2 brain aneurysms and went in to do the coiling procedure on June 29th. Under anesthesia my skin was pierced which I bled from and caused me to have a stroke during surgery. I would like to help my daughter with her children get a home and step son which have been their for me. So my winning would help my family an me have the finer things in life. pch i want to win it all. im not going to say i want a change to win it all. im saying i want to win it all. thos june 30,2015. thanks see you guy soon!!!! Please knock on my door June 30 !! I want to win it all ! I would love to win it all on June 30 I would buy my mom a house! I would make my kids dreams come true with gifts! My grandkids there dreams come true too! Just to pay off my car note too! I’m disabled and very poor trying to live everyday is getting harder for me cuz I’m drowning in bills! I hope and pray everyday that I don’t loss my apartment ! Some months I can’t pay my utility companies so this just so hard on me! I get food from church’s this has been so hard on me ! So please pick me and knock on my door on June 30! Can’t wait to hear, that the door bell ringing, its PCH calling. Dreams do come true…. I really believe in that.